Whether you use Coca-Cola, Pepsi, or a local vending company, it's important to report service problems when they occur. Waiting to call about a vending machine that is stealing money or needs a refill means the equipment is only sitting there taking up space, not providing beverages or snacks like you intended. Sometimes property or store managers stock the vending machine with products they think every one wants. Doing this fails to provide products they actually want, leaving the machine unused. When discussing the prospect of getting new vending services, take a survey to see which flavors or brands people want more. 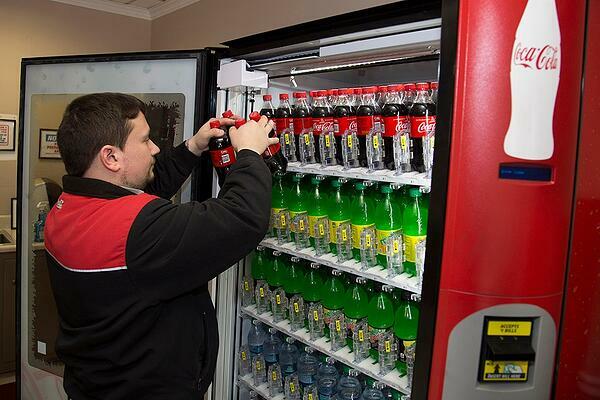 Vending companies make revenue through the sales from the vending machines they install and service. That means installing the equipment in a high-traffic area on your property is optimal. If the machine is out of sight, it will rarely get used, causing the operator to remove the vending machine due to low sales.